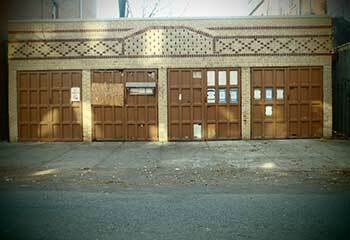 There are a lot of things that our garage door experts can help you with. No matter how complex the problem you're dealing with is, you can always count on our team for a solution. Check out our latest projects below to see some examples of our work. Customer Issue: A poorly conceived DIY roller replacement caused irreparable damage to this customer’s garage door tracks. Our Solution: Our team unplugged the opener, disconnected the belt, and locked the door open so they could take out the left track and screw in a replacement. Once it was in, they eased the rollers into their new track and reconnected the system. Customer Issue: Broken extension spring. 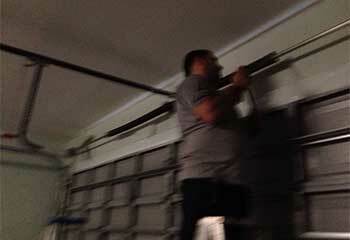 Our Solution: We had to act quickly as the customer's garage door was stuck. Our first step was to disconnect the opener. Then we removed the piece of the old spring and the pulley it was connected to and installed new ones, while ensuring that the safety cable was intact. Our test confirmed the door was stable and opening and closing smoothly. Customer Issue: Chain drive opener not working. 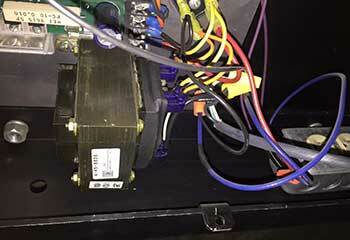 Our Solution: We examined the Chamberlain 1256 opener and discovered a faulty circuit board. We replaced the component with a new one, connecting it carefully to the system, cleaned the interior of the motor unit and reset the force. Our final step was to lubricate the chain for ensuring optimal performance. 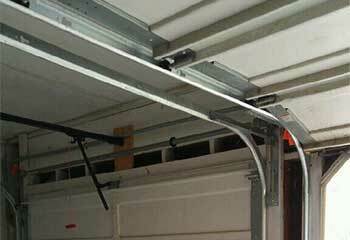 Customer Issue: Heavily damaged garage door panel. Our Solution: The bottom panel of the steel door was corroding and had a few holes, so we found a precise match and replaced it along with the hinges. To prevent future damage, we added a highly protective vinyl bottom seal and advised the owner on safe cleaning materials to use for the garage floor and driveway. Our guys can take care of any type of problem. All the parts we use are guaranteed to stand the test of time. We'll be where you want when you need us. Because your well-being comes before anything else.